We are involved in manufacturing, supplying, exporting and trading a wide range of Material Handling Equipment. These are available in various dimensions and models. We are an unparalleled name engaged in offering a premium quality range of Drum Lifters. 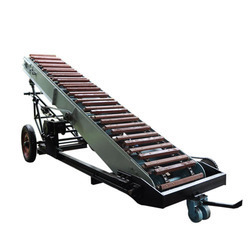 The drum lifter offered by us is developed with contemporary techniques using finest quality of material in fulfillment with the set standard of market. 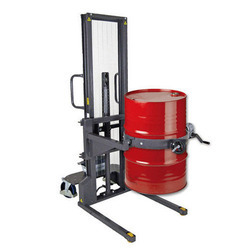 We offer this drum lifter in varied specifications and deliver within the given time. Offered drum lifter is checked on several parameters of quality in order to supply a defect free range. With rich industry experience and knowledge, we are manufacturing and supplying Truck Loaders. The offered truck loader is developed at our end using finest quality material and modern technology, in fulfillment with set standards. This truck loader is used mainly for loading materials into trucks, clearing rubble, laying pipe, and digging. We also offer truck loader in several stipulations to clientele as per their requisites.